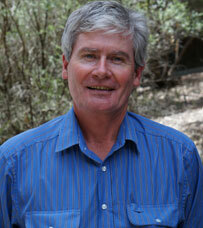 I am Head of the School of Environmental and Rural Science and a Professor in Ecosystem Management. I used to teach sustainable land management, national park and wilderness management, agroforestry and farm forestry, and help with ecosystem rehabilitation, sustaining our rural environments, and ecology. I supervise higher degree and coursework research students in a broad range of ecosystem management, natural resource, sustainable farming, protected area and biodiversity projects. My current research interests include landscape revegetation and ecosystem restoration; the environmental impact of wild dog control in temperate wilderness and agricultural landscapes; the nature, value and assessment of ecosystem services; invasive native scrub: soil function, erosion, management and biodiversity correlates; sustainable farming and grazing systems; the role and management of biodiversity in production landscapes; tree–grass interactions; fire and protected area management; ecology and management of plant and animal communities; and environmental dispute resolution. I am particularly interested in how governments, industry, public and private organisations and society can work together to pursue sustainable development, ecosystem stewardship and resilience-based natural-resource management and planning from local to global scales. I currently chair the Technical and Scientific Advisory Committee for the Gondwana Rainforests of Australia World Heritage Area, on behalf of the Australian, Queensland and New South Wales Governments, and between 2013 and 2018, I chaired UNE's Academic Board, which is the University's peak academic committee.